EAST RUTHERFORD, New Jersey (WABC) -- One person was killed and four others injured in a multi-vehicle accident in New Jersey Sunday morning. 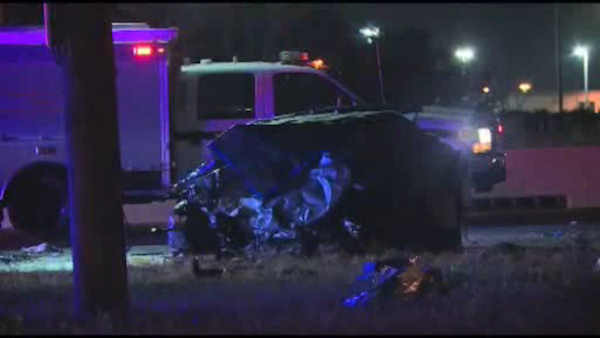 The crash involving four vehicles happened just after 3 a.m. on Route 3 in East Rutherford near MetLife Stadium. A 24-year-old man who driving one of the vehicles was killed. Three people were seriously injured and another person suffered minor injuries. All the victims were taken to Hackensack Medical Center. Eastbound Route 3 was closed throughout the morning for the accident investigation, with motorists detoured at the Berry's Creek Bridge exit. The roadway was re-opened late Sunday morning after some traffic delays through the area. The victim's identity has not yet been released. The cause of the crash is under investigation.